WHAT: The University of Illinois Springfield will hold a watch party for former standout guard Richard Oruche, who will be playing on the Nigerian basketball team in the 2012 Summer Olympics. He is believed to be the first UIS athlete to play in the Olympic Games. WHEN: Thurs., Aug. 2, 2012 from 4 to 7 p.m.
WHERE: Stars Lounge, located in the Student Life Building on the east side of the UIS campus. Visitors should park in Lot B. DETAILS: Students, faculty, staff, alumni, and community members are invited to come and watch Nigeria play Team USA. The game will be broadcast live on a large projection screen and several televisions. FREE wings, chips and salsa, quesadillas and other snack food, along with soft drinks, will be available to those in attendance. Oruche, 24, graduated from UIS in 2010 with a bachelor’s degree in Business Administration. He has been playing basketball professionally in Portugal for two seasons. He holds dual Nigerian and United States citizenship and was invited to play on the Nigerian team earlier this year. A Bensonville, Ill. native, Oruche led the Prairie Stars in scoring (19.8 points per game) and rebounding (5.8 rebounds per game) during the 2009-10 season, the inaugural year of Great Lakes Valley Conference (GLVC) membership. Oruche was the first UIS student-athlete to earn postseason accolades from the GLVC by being named second team All-GLVC. He was also the first Prairie Star student-athlete to earn the league’s Player of the Week award in December 2009. 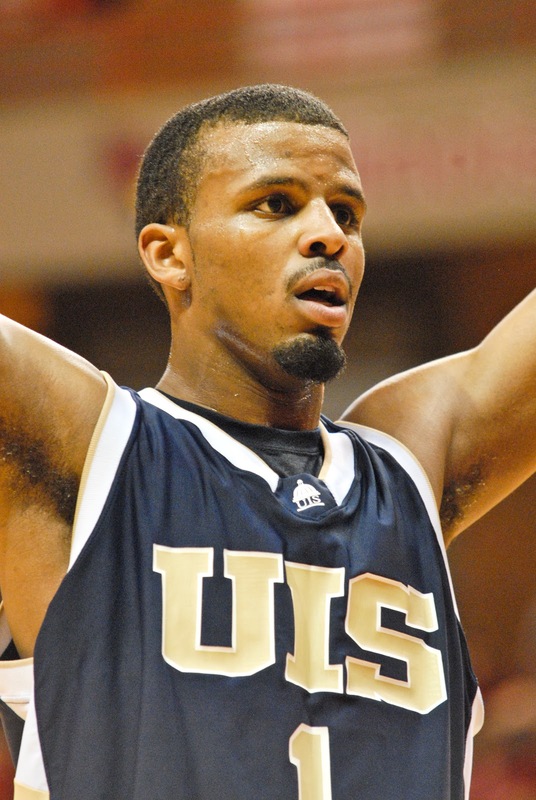 He spent two seasons at Northern Illinois University as a red shirt freshman before transferring to UIS. 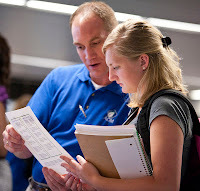 Area businesses and organizations are encouraged to register now for booth space at the 2012 “Foot in the Door” career fair at the University of Illinois Springfield. The fair will be held on Thursday, September 6, 2012 from 11 a.m. to 2 p.m. in the Public Affairs Center (PAC) Concourse on the UIS campus. There is no cost for employers or students. The “Foot in the Door” event is intended to bring students, local employers, and organizations together to discuss career opportunities in a broad range of available positions. Local businesses who are recruiting students to fill part-time jobs, internships, volunteer and other career opportunities are invited to participate in the event, which typically yields over 250 students. 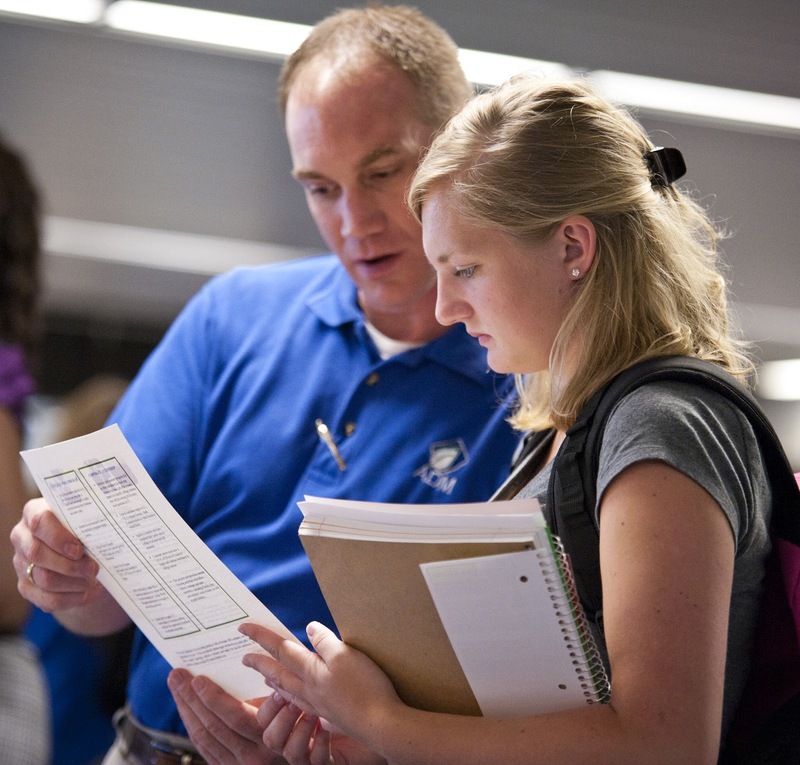 All attending employers should have immediately available opportunities for students. Booth assignments will be made on a first-come, first-served response basis. Additionally, interviewing rooms will be available for employers use during the fair. Set-up for the event will begin at 10 a.m. on September 6. Employers can register for the “Foot in the Door” career fair by visiting the UIS Career Development Center’s online system called “CareerConnect” at www.uis.edu/career/. Click on the “Employers: Login here” option to get started. The deadline to register is Monday, August 27.